Today's Image of Mars show three distinct dust devils in North Amazonis Planitia, as imaged by HiRISE. 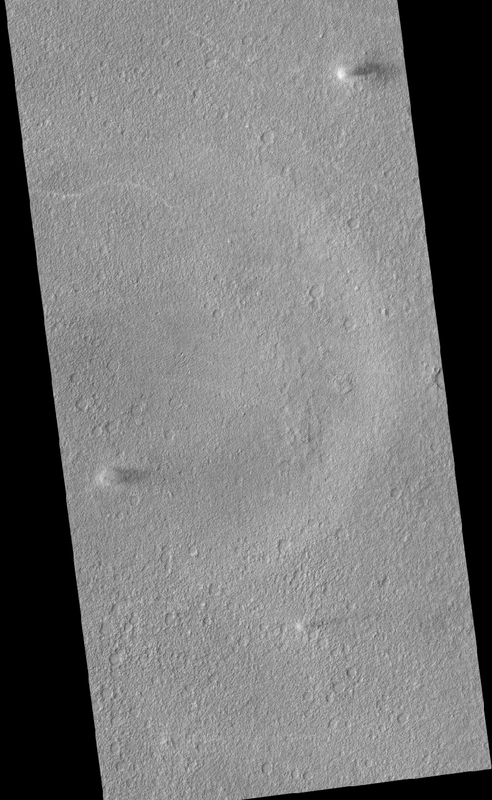 You can also see lighter paths along which dust devils have passed previously. This is because when dust devils pass over the dust laden ground they pick up that darker dust and expose the lighter terrain below. In areas with lighter dust covering darker terrain, just the opposite effects occur. Click on this image to see a captioned subimage of this one from HIRISE.